» Jahlil Okafor vs. Willie Cauley-Stein: Who Is the Shiny New Toy? For most of the teams in the lottery, the NBA draft is basically Christmas, so it shouldn’t be a surprise that there’s a “shiny new toy syndrome” that greatly influences the pre-draft process. The objective is to better the team, but there’s also a burning desire to wow fans, to give them everything they thought they wanted and more. Even if your dream is to win the national spelling bee, the package that resembles a Webster’s dictionary isn’t always the most alluring. Sometimes it’s the thing that looks like He-Man’s Power Sword under layers of gift wrap. In other words, all drafts circle back to the question of polish vs. upside. And this year, nowhere would that comparison seem clearer than between Duke’s Jahlil Okafor and Kentucky’s Willie Cauley-Stein. Do you want the guy who’s likely to realize his lower ceiling or the one who just might become something we’ve never seen before? It’s always an either/or, but as two of the 2015 draft’s best big men show, rarely is it ever that simple. In the summer of 2013, Jahlil Okafor, the near-consensus no. 1 recruit from the Class of 2014, put the finishing touches on a dominating world tour. At just 17 years old, he was months away from declaring his intent to attend Duke University and sealing his fate as a future national champion, but he was as imposing a basketball player as you’re likely to find at that age. Despite being the second-youngest player on Team USA’s roster at the FIBA U19 tournament in Prague, Okafor dominated, averaging nearly 11 points in 14 minutes on a ridiculous 77.2 percent from the floor. If those stats don’t wow you, how about this? In those nine games, Okafor had a player efficiency rating of 40.2. For reference, the highest PER ever recorded over a single season in the NBA is the 31.8 Wilt Chamberlain registered 50 years prior. 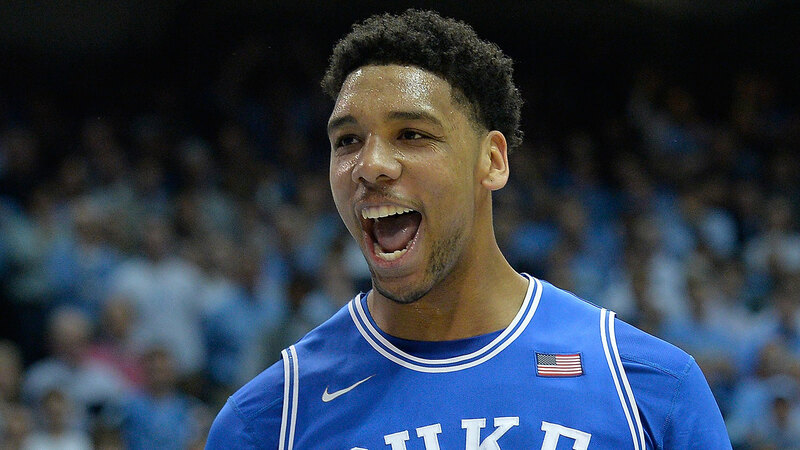 Okafor was named to the All-Tournament team along with four players1 who would hear their names called in the NBA draft one year later — three of them in the lottery. Okafor was only a boy, but he was a monster, the kind of Hulk-like manifestation every bullied little kid wishes they could summon when playing against the big kids on the playground. 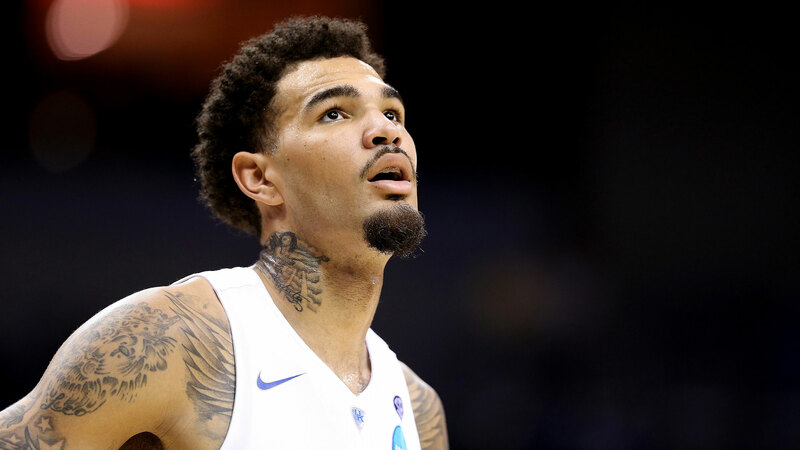 That same summer, Kentucky’s Willie Cauley-Stein was gearing up for his sophomore season, only his second year as a one-sport athlete. You may have read about his football exploits, but if not, here’s a quick primer: A kid with quarterback aspirations, he was moved to wide receiver (to his chagrin) during his senior year of high school and went on to become the best receiver in the state of Kansas. In his one season as a wideout, he had 1,265 receiving yards, he averaged close to 20 yards per catch, and nearly a quarter of his receptions went for touchdowns. Cauley-Stein played alongside a slot receiver who ran a 4.4 40 — and Cauley-Stein, who was 6-foot-10, was faster than him. Although he also played AAU basketball throughout high school, he was one of the most raw players Calipari had ever recruited for Kentucky. However, his size, length, agility, and unconventional pedigree gave him a chance to become the best defender in the college game. He stayed for three seasons and eventually made that happen. Cauley-Stein is two years older than Okafor. The two are vastly different prospects; their respective strengths lie on opposite ends of the court. Okafor, who has been pegged as a potential no. 1 overall pick since he started high school, has had to bat back constant criticisms about his defense and his place in today’s NBA. He is young, but his back-to-the-basket game encapsulates an old-world view of the sport. On the other hand, Cauley-Stein is exactly what the league is craving at this very moment, and other than a few concerns about his passion for the game and some vague character-issue questions that have vanished over the past month or so, he fits the profile of a top-five pick. But which one is the shiny new toy? As if Cauley-Stein’s ability to defend all five positions on the court weren’t enough to sell you on him as a prospect, recently there’s been a campaign of sorts hoping to paint him as more than just a guy with Defensive Player of the Year potential. There’s footage of WCS shooting corner 3s with pretty good form on his release that becomes almost unbearably amazing later in the video when he shows off his fluidity shooting jumpers off the dribble.2 Kenny Payne, one of Cauley-Stein’s coaches at Kentucky, called him “John Wall–ish” for his size. I’m not exactly sure what that means, but if stock footage of a rocket ripping through the stratosphere suddenly flashed before your eyes after hearing that comparison, you aren’t alone. The general message is clear: The ceiling we have on Cauley-Stein’s potential isn’t nearly high enough. Yet it hasn’t provided any stability in terms of his projected draft position. He’s still slated to go anywhere from no. 4 to the end of the lottery. Here’s what Okafor and Cauley-Stein have in common: They are savants of one domain, and both are clearly hoping to prove that their limitations on the other end of the court were little more than a matter of context. Cauley-Stein was a quarterback turned receiver, but he also played a bit of cornerback. He played three different positions with three different vantages of the field, and it all coalesces in the way he tracks the ball and the movement on the court. You can see it in how he chases point guards out on the perimeter and plays the switch on pick-and-rolls. None of it works without his otherworldly lateral and straight-line agility, but he’s not a guy who gets by on athleticism alone. He’s patient and anticipatory, both on defense and in how he has allowed his college career to play out. There is defensive genius in play here — the polish is obvious — and at least some of it has to do with the way he has accepted the different roles he’s been put in throughout his athletic career. But that role has rarely ever been “offensive star.” And while the NBA will surely welcome the diversification of his talent, turning WCS into a do-it-all player on both ends of the floor seems, in a way, limiting. Especially when he has the potential to be a defender as singular as Anthony Davis, Draymond Green, or Kawhi Leonard. Okafor has had an NBA-caliber body and post game since at least his sophomore year of high school, and he has refined that part of his game to a point where it might be safe to say there haven’t been five prospects in the last decade or two who’ve had better skills down low. The ability to shift your weight quickly and place your body in positions of leverage over your opponent, to time your maneuvers and quickly adjust with countermoves to stay two steps ahead of your defender, to know when to pass out of the double and when to face up — he had it all down to a science before most people start going to prom. And when he put that knowledge into practice, his teams were virtually unbeatable. He was the MVP and a gold medalist at the FIBA U17 tournament in 2012; he won gold at the U19s in 2013; he won an Illinois state title with Whitney Young High School; he is an NCAA champion. Defense just hasn’t been all that important up to this point. His defensive education starts the second he’s drafted, which can be said about nearly every other player drafted into the league. But nearly every other player doesn’t have Jahlil’s catalogue of skills preset and ready to go. That sure sounds like upside to me. Aaron Gordon (who was the tournament MVP), Dante Exum, Dario Saric, and Vasilije Micic. There’s also footage of Dwight Howard shooting jumpers in practice, and of Shaq drilling a turnaround baseline jumper over Dikembe Mutombo. So take all of this with a grain of salt. Willie’s jumper sure looks pretty, though. Also, Bogut attempted nine hook shots in the playoffs this year and missed seven of them.